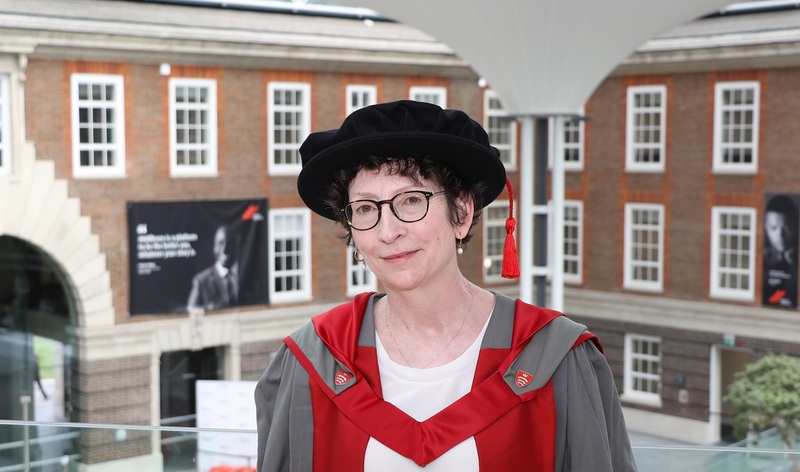 Professor Claire Wilcox, Senior Curator of Fashion at the Victoria and Albert Museum, London (V&A), has been awarded an honorary degree by Middlesex University London. As well as being responsible for the Museum’s 20th-century and contemporary dress collections, she is also Professor in Fashion Curation at London College of Fashion, University of the Arts London. Professor Wilcox is happy to be recognised as an important figure in the world of fashion. Professor Wilcox fell in love with the V&A from an early age studying art history and - after leaving Exeter University - fulfilled one of her life’s ambitions when she became a curator in the museum’s Textiles and Dress department. Her recent shows at the V&A include Vivienne Westwood (2004), The Golden Age of Couture (2007) and most recently Alexander McQueen: Savage Beauty (2015). Professor Wilcox has published and lectured widely and sits on the editorial board of the Fashion Theory and Studies in Costume and Performance journals. Professor Tim Blackman, Vice-Chancellor of Middlesex University, acknowledged the impact of Professor Wilcox's work. “By awarding an Honorary Degree to outstanding people such as Professor Wilcox the University is recognising achievement at the highest level as well as dedication to public duty and making a difference to others’ lives.